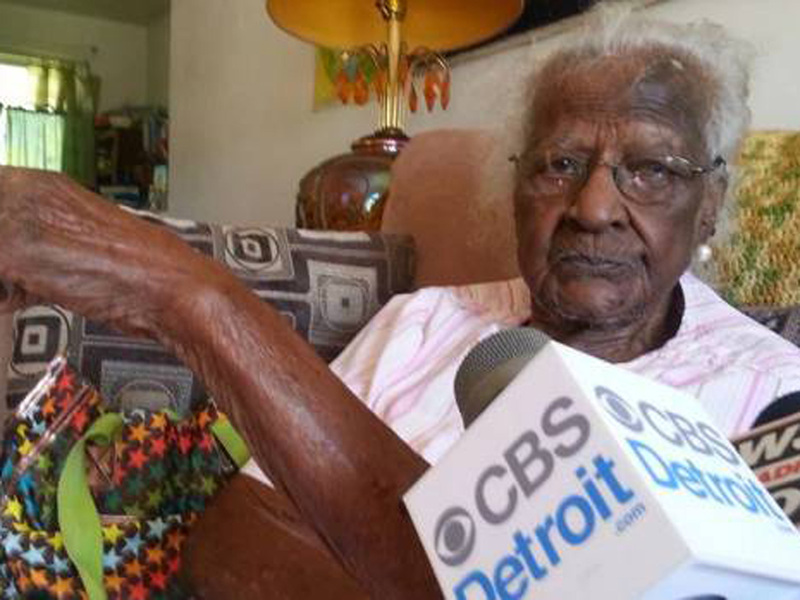 DETROIT -- A woman deemed the world's oldest person died in Michigan, about a month after her 116th birthday. "People asked her, 'How do you feel about being the oldest person in the world?'" Holloway said of her mother. "She said, 'I still feel the same. That's God's work, not mine.' ... She enjoyed life as long as she was here." Talley was called "part of an extraordinary generation" by President Obama when she celebrated her 114th birthday. She also stayed active and was part of a bowling team, scoring 200 when she was 104, Holloway said. "She was a very quiet and concerned person. She truly loved her church family, and she loved her family, period -- her grandchildren, her great-grandchildren," Holloway told CBS Detroit. "And if there was anything she could do to help anybody she was always willing to help them.